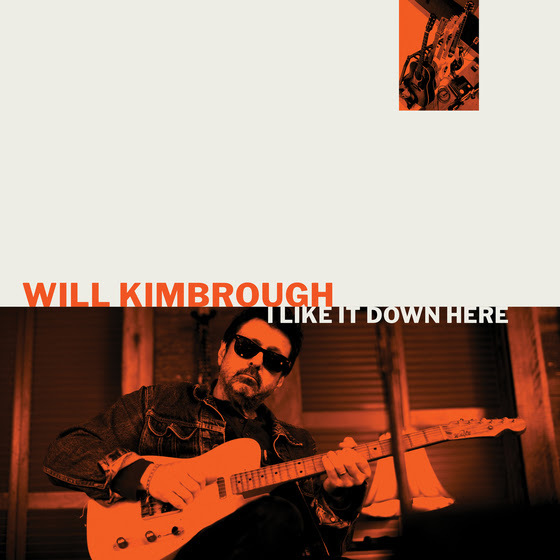 JP's Music Blog: Will Kimbrough Sings About The South With "I Like It Down Here"
Will Kimbrough Sings About The South With "I Like It Down Here"
Singer/songwriter Will Kimbrough returns to his solo career, after spending the last five years keeping busy with super-groups and producing. He is preparing to release his new studio album "I Like Down Here" on April 19th, through Soundly Music. The songs revolve around Kimbrough's love of the South and his fascination with roots music. The new 10-song set begins with the bluesy swagger of "Hey Trouble," before slowing down for the storied stomp rhythm of the title song, "I Like It Down Here." His sound gets darker, on the raw, acoustic strumming of "Alabama (For Michael Donald)," as Will describes this truthful tale to us. He picks the energy back up with the classic rock and roll swing of "I'm Not Running Away," before wrapping up his new album with the laid-back, relaxing vibe of "Salt Water & Sand" and the beautiful, simple melody of "Star." Will Kimbrough is hitting the road on April 6th to begin his spring tour. For a complete list of dates and to find out more about his new album "I Like It Down Here," please visit willkimbrough.com .